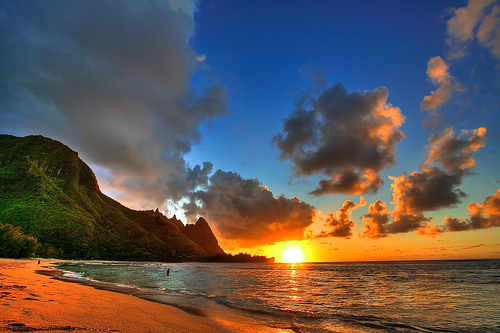 Our guide to Hawaii's best beaches will give you a good idea of what Hawaii has to offer. Keep in mind that there are over 100 great tourist beaches in Hawaii (see our individual island beach guides for Kauai's Beaches, Maui's beaches, Oahu's beaches and Big Island beaches), and many have dual personalities - dependent on weather, surf, seasonal sand erosion and recent rainfall. So even beaches that are not on this list can be paradise when conditions are right. The list below excludes beaches from Molokai and Lanai. 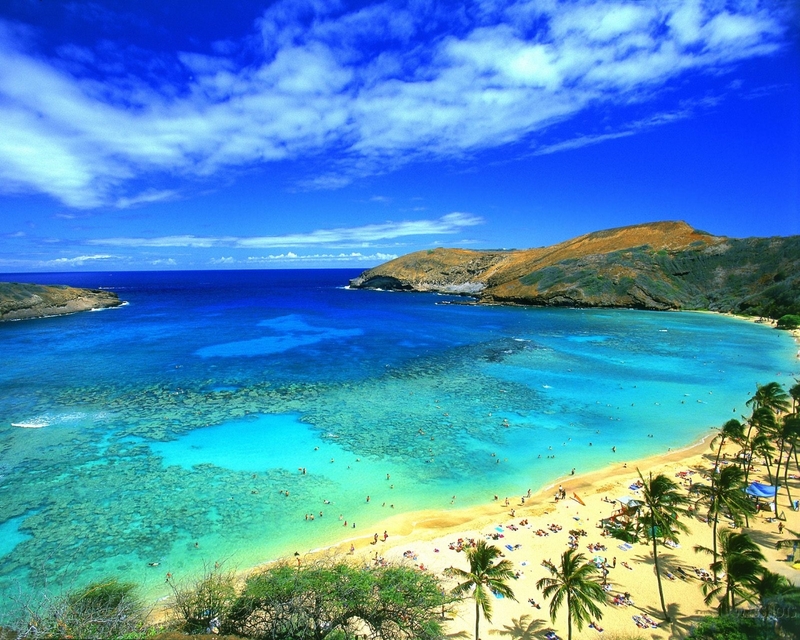 The typical Hawaiian beach has semi-coarse golden brown sand and is flanked by large lava rock formations where colorful tropical fish congregate. The water transitions from a dark blue to a ‘greenish blue’ near the shore. The water is rarely crystal clear as kicked up sand, ocean debris (plankton, coral bits etc.) and sediments from streams reduce visibility. The beach and sand are clean and well maintained, and free of sand flees (no-see-ums) and other annoying critters. A light fragrant breeze blows over calm ocean waters in the morning. In the afternoon the trade winds pick up, turning the ocean choppy with small waves. If it’s a weekday the beach comfortably accommodates all its patrons with ample amounts of play room. Below we describe the factors that form the basis for our ratings. Keep in mind that we don’t walk around with a sheet of paper and pencil, taking notes and giving marks, tasting the sand and gargling the water. We attack the beach! Our weapons include surf boards, boogie boards, goggles, soccer balls, shovels and sand trucks, kites and frisbees, and hopefully a little sun screen. Fine, soft sand is nicer to walk and play on than coarse sand, and also better for construction projects like sand castles. Rocks or other debris greatly reduce the quality as running and playing are not possible. Light colored sand is visually more appealing in our opinion, although it produces more blinding glare than dark sand. Waves influence how much fun a beach is. The most fun and accessible ocean sport is boogie boarding, and as such we judge a beach that normally has active surf by its ability to produce the ideal boogie boarding wave. In contrast, the most fun and accessible ocean activity is snorkeling. A location that aims to please as a snorkeling spot must have little surf, clear water, and plenty of fish. The ideal wave is about 3 ft high, breaking perhaps 20-30 yards from the beach in waist high water. This size is challenging and exciting for those who are comfortable in the water, but not overwhelming. After the wave breaks, less experienced swimmers can still catch the white water without fear of being tumbled. With Hawaii’s reputation as a surfing destination, some may be disappointed by what the ocean offers for non surfers, with waves often being too big or too small for boogie boarding. At many locations, the beach slopes into the ocean rather quickly, resulting in a wave that breaks on top of the beach instead of in the water. Reefs or neighboring islands also deflate wave energy, with trade winds further deforming the waves. The character of the ocean changes dramatically from season to season as far away storms in either the northern hemisphere (Winter months) or southern hemisphere (Summer months) send powerful waves to the north or south facing shores. The position of neighboring islands and reefs also greatly influence the surf that a beach is exposed to. Most northern beaches have a dual personality, often placid in the summer and very active in the winter with something in between in the spring and autumn. The same holds true for south beaches in the summer months, but the effect is less dramatic. East facing shores experience more consistent conditions, while west facing shores often feel the affects of the north or south coast’s big surf. Eastern shores are generally active and choppy due to waves from the trade winds. All beaches in Hawaii are public. A few hotels and land owners try to trick vacationers into believing otherwise, however hotels must provide public beach access through their property. In rating a beach’s quality in terms of accessibility we consider walking distance from the parking lot to the beach. This consideration mostly affects a handful of magnificent beaches and attractions on Kauai and the Big Island. A 15 minute walk may sound trivial until one considers navigating lava rocks or a slippery path with beach gear and kids who mysteriously lose all their energy when it’s time to go home. Some people enjoy visiting the beach to people watch, sun tan, and check out the latest beach fashions. Indeed, you'll see people sporting everything from Brazillian bikinis to snazzy one piece swimsuits. However, when we rate a beach our primary consideration is how much room there is to walk and play. Can you fly a kite, play Frisbee, build forts, put up a volleyball net, or go for a long walk or jog? Bigger beaches offer more possibilities and as such are more desirable. 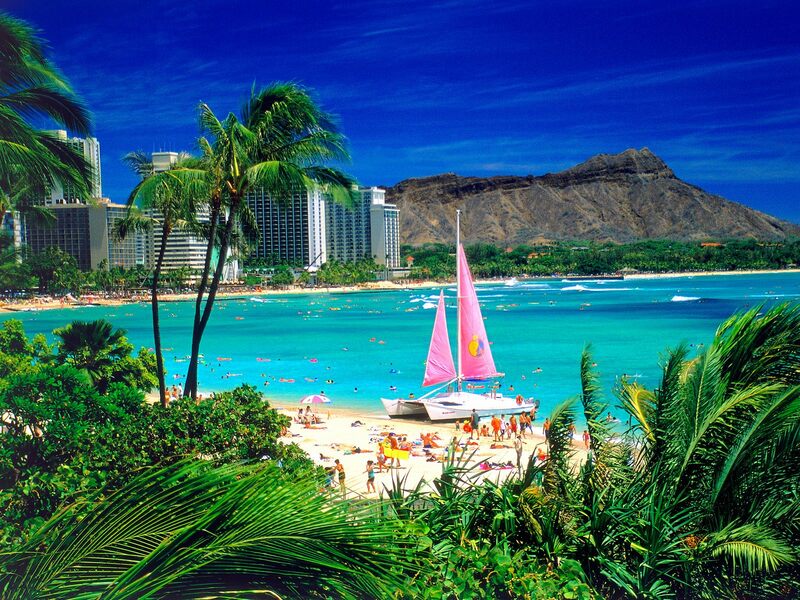 Most of Hawaii’s beaches are not crowded during week days and offer plenty of room to play, both on the sand and in the water. Only a handful of beaches and snorkel locations lose points for being consistently crowded. Surroundings that detract from a beach include busy roads directly adjacent to the sand, camp grounds, industrial buildings, litter, un-kept facilities (parking lot, park or BBQ area, facilities) etc. Fortunately Hawaii’s beaches tend to be very well maintained with local communities and organizations (like the Surfrider Foundation) helping to keep them clean. 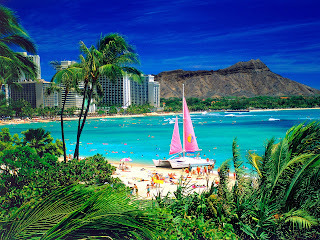 Also influencing the ambiance of a beach are the adjacent parks, hotels, vegetation, homes, and neighborhood.